About the Award: Olam recognises the need to foster leadership and governance in Sub Saharan Africa by supporting aspiring and capable students to pursue higher education at international centres of excellence. Through the INSEAD MBA scholarship and Olam mentoring, we hope to play our part in developing the necessary skills and knowledge in a highly talented select group of change agents. They in turn will then have the opportunity to contribute towards economic transformation and catalyse change in their community. Eligibility: The INSEAD Olam International MBA Scholarships for Change Catalysts in African Markets will be open to meritorious candidates who are nationals of Sub-Saharan Africa, regardless of their current country of residence, but who are committed to working in their home country or region. Only candidates admitted to INSEAD’s full-time MBA programme will be considered (December 16 and July 17 Classes) . How to Apply: To access the scholarship application form on-line, you will first need to register (important : your name should be indicated exactly as on your admission application). You can access the scholarship application form on Monday 24th October. 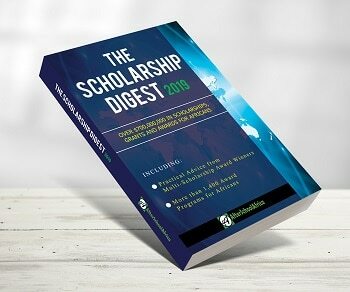 To submit an application, first go through the Scholarship Application Guide and then register yourself.